Reflections and Ruminations: Life imitates art, but oftentimes, life goes much deeper. Life imitates art, but oftentimes, life goes much deeper. I don’t often get to watch movies in a theater but last week, I managed to catch one. It was director Ridley Scott’s latest flick The Martian, and was about how a group of astronauts who had landed on the planet Mars had to suddenly leave the planet to return to Earth when they encountered a fierce storm. In this seemingly unplanned evacuation, they presumed that one of their own, Mark Watney, was killed, and made the painful decision to leave him on the planet. The group which now was one man less, then embarked on their very long journey back to earth, but unbeknownst to them, their fellow astronaut Mark was not dead but seriously wounded in the storm. He regained consciousness on his own, and managed to nurse himself back to some semblance of health, enough to use his intelligence and acumen to survive on his own on the lifeless planet and its harsh terrain. The rest of the film focuses on how he managed to re-connect with NASA on earth and how they struggled with this new piece of revelatory information. As things would turn out, the crew on board the returning spacecraft were the last to find out that their crewmate was in fact still alive, and a plan was hatched to return to Mars to get him back safely, with the entire world cheering on this rescue operation of epic proportions just to bring back one fellow human being stranded so far away. I left the theater with a rather ambivalent feeling about the movie, perhaps even secretly critical about the final part of the way astronaut Watney managed to maneuver his way in space in his effort to get to safety by a (spoiler alert) punctured hole in his spacesuit. Some people asked me what I thought about the story. It had an interesting premise, but I found something too safe and clinically clean about it, but couldn't quite put my finger on it. Only later, after some deliberate pondering, did something dawn on me. Both The Martian and our salvation history as revealed in the Judeo-Christian tradition are about a massive rescue operation. Ridley Scott managed to move his audience by the way the story showed how people on earth as a united people cared about one lost man, and it didn’t seem to matter at what cost this rescue operation took. That God enters into our humanity to rescue us from damnation so that we can have a share in his eternal life mirrors this ‘rescue operation’ on a far more epic scale. This much is clear as far as a similarity is concerned. But it gets way better when one takes a closer look at the way salvation history has panned out. In The Martian, astronaut Mark Watney was a good man. I guess it takes a lot to be an astronaut, with more than the average smarts and physical fitness, and he was generally portrayed as a ‘nice’ guy that was lost in space. It was justifiable to get him back to earth at all costs. It made for the fact that not just his crewmates but the entire world rooted for him a bit more believable. But what if the story had another turn? What if it revealed that in his life, astronaut Watney was a man who had a very shady past, perhaps involved in some terrible scandal that had ruined the lives of others, committed some heinous and egregious crimes that were only uncovered while the rescue mission was underway, and how so many on earth were deeply divided in the decision to rescue this man who did not deserve to be rescued? Herein lies the supreme grace that salvation history culminating in Jesus Christ being our savior becomes the game changer for all of us. Rom. 5:7-8 has Paul telling us that "rarely will anyone die for a righteous person - though perhaps for a good person someone might actually dare to die. But God proves his love for us in that while we still were sinners Christ died for us." Luke chapter 15 tells of the story of the lost sheep and how the shepherd who has 100 sheep, losing one, leaves the 99 in the open country to look after that one lost one. Elsewhere, the story of the prodigal son also tells of how the father is on the constant outgoing search for his lost sons to go back into his house to celebrate. Yet, I think we often miss the point that none of the lost deserves to be found. A troublesome sheep out of 100 good ones? Forget about that one and cut the losses! The angry and bitter older brother who stays out in the field bristling and seething? Leave him alone! He doesn’t even know how good he had it. Yet, the prodigal father goes out in search – not so much for the good one, but the angry one, the recalcitrant one, and yes, the underserving one. It is way easier to understand salvation history when it is a matter of grace given to the deserving and the righteous. It squares very much better with our entitlement narrative that we hold on to in this life anyway – where we' earn' our own salvation because we were good enough. But that is not the essence of the Christian faith. The absolute wonder of Christianity, and how it is truly a 'game changer' is that we were saved precisely because none of us deserves life, but due to sin, were instead deserving of death. The route that the rescue team took to get to Mars to rescue astronaut Watney was arduous and even treacherous. But if we ponder about the depths of depraved humanity that God entered into to take us out of our mired earthly existence where we are stuck in sin and ourselves, the reality of God’s love has to bring us to new horizons of appreciation and gratitude each time we think about it. Calvary was a tremendous journey for Christ to show the depth of God’s love for us. The Martian may be entertaining as a movie, but in my opinion, our own story is way better. Only thing, instead of being called The Martian, ours is should aptly be called The Sinner. Yes frLuke, our own story is way better. Hmmm the Martian is saved and brought back to life on earth with his loved ones. We are saved and brought back to live with the Father. Dear Fr. Luke. Your ‘mini movie review’ made me smile, because I’ve been there before. 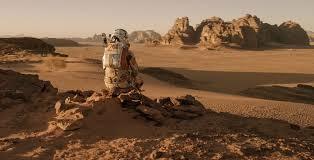 I haven’t watched ‘The Martian’ myself, but I am familiar with the type of movie that Hollywood is wont to produce. You know, the type that has the audience standing up and cheering at the end. The average movie-goer can get SO wound up over the rescue of all things, a whale, (Free Willy) and see its rescue as a hugely heroic and moral act. Yet, when seen from the perspective of ‘The Greatest story ever told’ and which is in fact, STILL being told; they (the movies) can come across as somewhat underwhelming. If one has some perspective, that is. I look forward to more reviews from you, as seen through your special eye-glasses. God bless! When I read the above, I hear again the voice of the homilist admonishing us at that day’s mass in the wee hours before sun-rise – “Mm chai si” – (in Hokkien) and I think most of us did a double-take and for those who were still in semi-somnolence, lulled by the familiarity of the flow of the liturgy, it was a rude awakening! Yes, we were told that we have not truly appreciated the whole salvific life and death of Christ - for us, for humanity, - with the implication that we have been ungrateful wretches. And I guess – he’s right too. However, the story of the shepherd who went in search of the lost sheep, leaving the 99 on their own sometimes made one look askance at God – does this mean He loves this one more than the 99, and would sacrifice the safety of the whole flock to the vagaries of the weather or thieves (just to mention a few of the dangers) for this undeserving wayward one? What kind of love is that? One of my classmates, a successful doctor and practising Catholic once shared with us at an alumni gathering that we were not truthful if we claim that we love our children all the same or equally. Of course after getting quite an earful from most of us who are parents, he was finally allowed his say. He shared that though he loved all his four children, he would love one of them more when that child is ill or in pain and he would love another more when that one is troubled or confused and then he would love another much more when that particular child mis-behaves or is rebellious or made a terrible mistake. That made a deep impression on us because we could empathize with him. Perhaps, that is why God loves us like He does – because He knows we need Him most when we are hurting most. Thus Life can only imitate the Giver of Life.